Documentary that offers a snapshot of the life of artist and writer John Byrne, as he completes a large mural for the dome of the King's Theatre in Edinburgh. 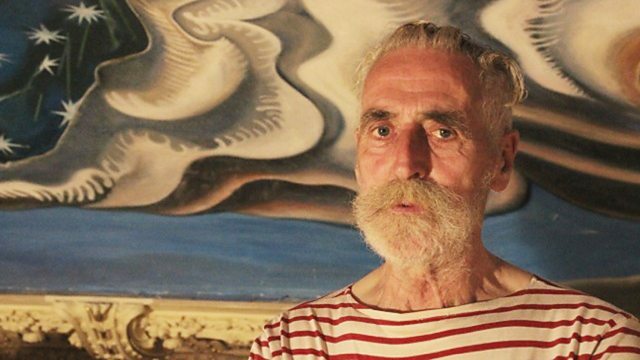 This documentary offers a snapshot of the life of artist and writer John Byrne as he completes a large mural for the dome of the King's Theatre in Edinburgh. The film follows Byrne from the intimacy of his Edinburgh home and studio - with a wealth of anecdotes and memories - to the theatre, where he oversees the completion of his latest work. Born and brought up in Paisley, John Byrne now lives in Edinburgh; the cameras follow him as he cycles and walks its streets, meeting people and reflecting on the buzz of the festival city.